When a new user logs in for the first time, we'll give them the opportunity to watch some popular spaces, or search for and watch specific spaces. It's a win for those of you who need to get Confluence newbies set up. You can now register board-related events for a webhook in JIRA Software. This lets JIRA Software notify your add-ons or web applications whenever a board is created, updated, deleted, or has its configuration changed. Just choose the desired events when creating or updating your webhook. As previously announced on 28 September, with this release JDK 7 can no longer be used to run agents. You can continue to use JDK 7 (and earlier releases) for builds. We highly recommend upgrading to the latest version of JDK 8 as soon as possible to avoid any issues with existing agents or custom images. The stock images are upgraded automatically. Note: Atlassian doesn't provide support for customized images. Bamboo provides flexibility to use customized machine images, but it's impossible for us to support all individual configurations. Try to match the layout and scripts of our stock images as closely as possible. Choose Oracle if you have the choice between Oracle and OpenJDK flavor of JDK. Now you can trigger deployments after a successful build of a specific stage of a plan. You can find the full fixes list here. These unlicensed Confluence users can view knowledge articles from spaces linked to service desks they already have access to. 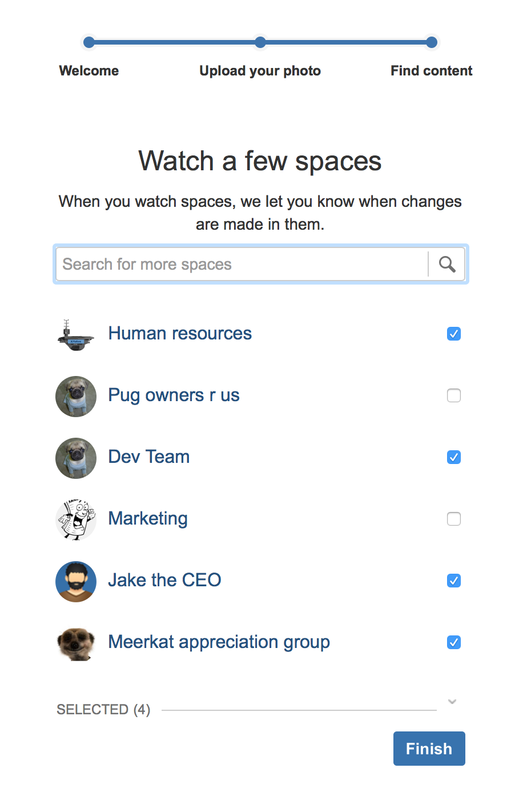 If you have linked a Confluence space to an open service desk (with public signup enabled), then all unlicensed users will be able to view the knowledge articles in that space. Unlicensed users can view knowledge articles in the customer portal, help center, and in Confluence if they're provided with a direct link. Like, comment on or edit content. See the dashboard, user profiles, the people directory, or the space directly. 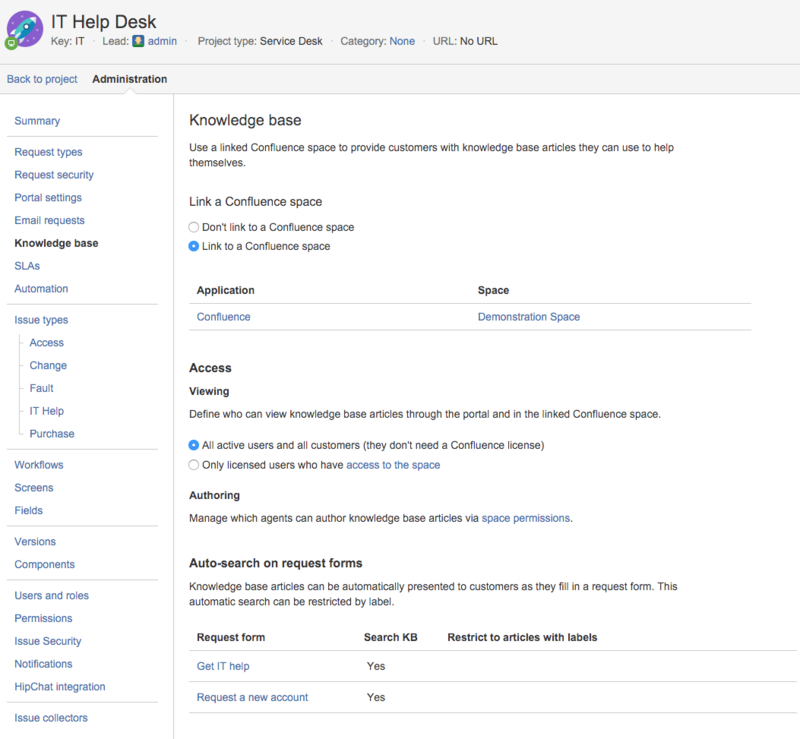 If you have linked JIRA Service Desk Cloud with Confluence Cloud, you can start giving service desk customers access to your beautiful knowledge base spaces today. If you have linked JIRA Service Desk Cloud with Confluence Server, keep an eye out for the next major Confluence release so you can make use of this new unlicensed user option.